REYNOLDS, Jan. 17 -- Mrs. Emanuel Aultman, 83 years old, died at her home here this morning. 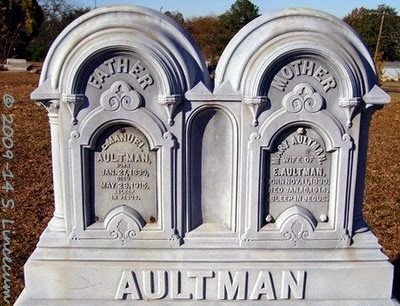 When she was 18 years of age she was married to Captain Emanuel Aultman, who survives her. They have therefore lived together 65 years. Mrs. Aultman is the mother of Dr. Rhett Aultman, of Meigs, Ga., Judge Hollis Aultman, of Reynolds, and of Mrs. Mims, Mrs. Mathews, Mrs. Long and Miss Dovie Aultman, all of whom reside here."